Alex Gelinas is a partner in the firm’s Tax Group. Mr. Gelinas focuses his practice on providing tax advice to investment managers of hedge funds, private equity funds and other investment funds on all aspects of their businesses, including management entity and fund formation, partnership taxation issues, compensation arrangements and ongoing investment activities and transactions. Mr. Gelinas also provides tax advice to U.S. pension funds, sovereign wealth funds and other U.S. and foreign institutional investors in connection with their investments in private equity funds, hedge funds and U.S. joint ventures. He also has extensive experience in providing tax planning advice to high-net-worth individuals and families. In addition, Mr. Gelinas has extensive experience with respect to the “plan assets” and other ERISA regulatory issues applicable to sponsors of, and institutional investors in, onshore and offshore hedge funds, private equity funds and other pooled investment vehicles, including funds-of-funds. He has published many articles and lectured on various tax and ERISA regulatory subjects applicable to the investment management industry. Mr. Gelinas has practiced tax law with major law firms in New York City for several decades. 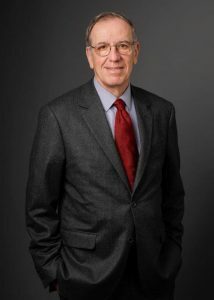 Prior to joining Sadis & Goldberg, he was a partner at Sidley Austin LLP for many years and a partner at Brown & Wood LLP. 2011 Global Guide to the World’s Leading Lawyers for Business – Recognized by Chambers as an expert in U.S. corporate taxation.